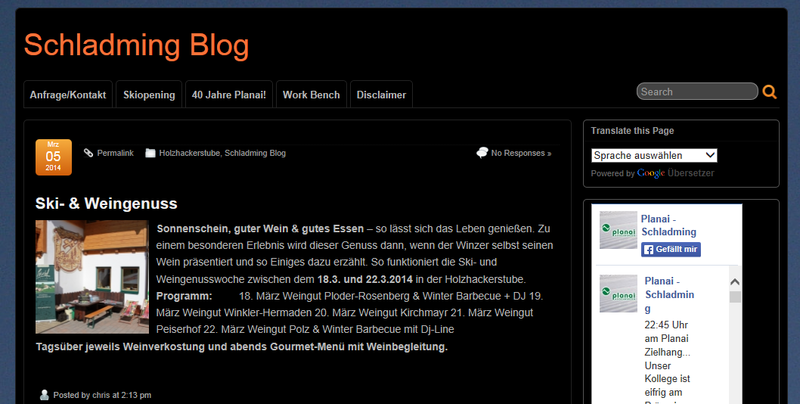 WordPress 5.0 inkl. Gutenberg bereits am 19. November 2018? Der Startschuss fiel heute (3. Oktober 2018) im WordPress-Core-Chat und läutete den Endspurt für den Release von WordPress 5.0 und somit auch den Umstieg auf den neuen Editor Gutenberg ein. Zuvor wurden entsprechende Informationen in Form der Blog-Beiträge von Matt Mullenweg (A plan for 5.0) und Riad Benguella (Technical overview of Gutenberg integration) veröffentlicht. WordPress 4.7 Beta 1 is now available! This software is still in development, so we don’t recommend you run it on a production site. Consider setting up a test site just to play with the new version. To test WordPress 4.7, try the WordPress Beta Tester plugin (you’ll want “bleeding edge nightlies”). Or you can download the beta here (zip). Twenty Seventeen – A brand new default theme brings your site to life with immersive featured images, video headers, and subtle animations. With a focus on business sites, it features multiple sections on the front page as well as widgets, navigation and social menus, a logo, and more. Personalize its asymmetrical grid with a custom color scheme and showcase your multimedia content with post formats. Our default theme for 2017 works great in many languages, for any abilities, and on any device. Video Headers – Sometimes a big atmospheric video as a moving header image is just what you need to showcase your wares; go ahead and try it out with Twenty Seventeen. Need some video inspiration? Try searching for sites with video headers available for download and use. Set up your site in one flow – From finding and installing themes right inside the customizer, to automatically staged theme-specific starter content, to clickable shortcuts that jump directly to editing an item from the preview pane, to adding pages while you’re building a nav menu or setting a static front page: getting a new site spun up and ready to share with a friend or a coworker is faster and easier than it’s ever been. Note: starter content appears when live previewing brand new sites and is currently only available in Twenty Seventeen. We’ll be expanding this to other bundled themes very soon, and perhaps to sites with existing content in future releases of WordPress. Custom CSS with live previews – Ever needed to hide or tweak the look of something in your theme or from a plugin? Now you can do it with CSS and live preview the results while customizing your site. CSS can be a powerful tool; you may find that you won’t need the theme editor or child themes anymore. User admin languages – Just because your site is in one language doesn’t mean that everybody helping manage it prefers that language for their admin. To try this out, you’ll need to have more than one language installed, which will make a user language option available in your profile. PDF thumbnail previews – Uploading PDFs will now generate thumbnail images so you can more easily distinguish between all your documents.